Chi Huynh is an associate in the Corporate Practice Group in the firm's Century City office, specializing in healthcare transactions and compliance matters, mergers and acquisitions, and corporate governance matters. Chi represents physician groups, independent physician associations, hospitals and hospital-affiliated foundations, non-profit health foundations, pharmacies and other healthcare entities in mergers and acquisitions, operational and contracting matters, and general corporate counsel matters. She is also experienced in identifying and addressing complex healthcare-related regulatory issues, including information privacy, corporate practice of medicine, anti-kickback and federal Stark issues. Prior to joining Sheppard Mullin, Chi served as Associate General Counsel at IPC Healthcare, Inc., a publicly traded corporation that operates a leading national physician group practice focused on the delivery of hospital medicine and related facility-based services. As the principal transactions attorney, Chi managed and lead a team of in-house attorneys and paralegals in the successful negotiation, documentation, and closing of over 35 acquisitions across multiple states in the areas of acute, post-acute, critical care and other healthcare practices. In 2015, Chi joined Sheppard Mullin bringing to her clients extensive experience and the benefit of her in-house viewpoint. Chi’s diverse experience and perspective from all sides of the transaction is instrumental in the attainment of her client’s goals through practical solutions as well as balanced legal risk. Additionally, Chi is a seasoned legal advisor to Fortune 500, middle market, and start-up companies in the areas of mergers and acquisitions and other corporate transactions. She advises general counsels and senior management in connection with legal operational challenges, general corporate governance matters and complex investment structures. 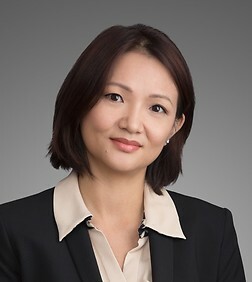 Chi has extensive experience in representing public and private companies, private equity firms, strategic investors, financial institutions and other clients in transactions involving mergers and acquisitions, including stock and asset, cross-border and going-private transactions, joint ventures, private equity investments and restructurings in a variety of industries, including semiconductor, food and beverage, specialty manufacturing, entertainment, energy and renewable energy industries.